Yes, it is HOT outside. But we can’t let the steamy temperatures keep us cooped up in our homes. We need to get the kids out of the house for everyone’s sanity! We’re staying refreshed with some ice cold Waterloo Sparkling Water, naturally flavored with a variety of our kids’ favorite fruits — watermelon, black cherry, lemon, mango and more — and also contains zero sugar, sodium, or calories. 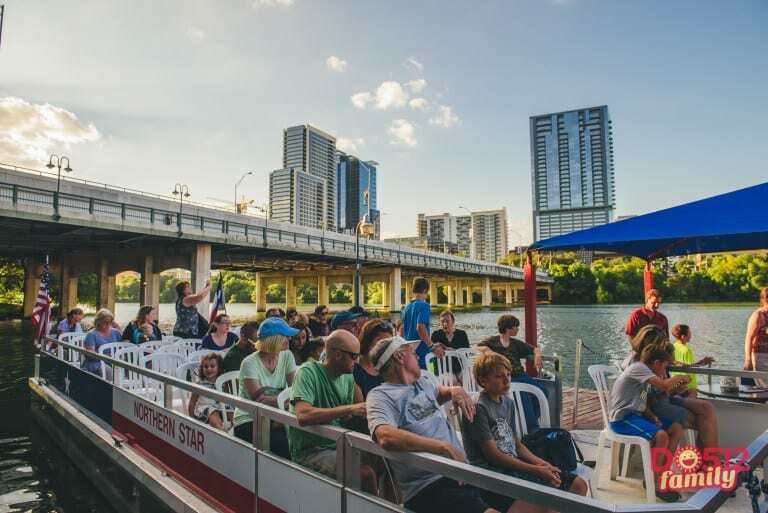 Pack a few in a mini cooler on your way out the door, and then try one of these ideas for what to do with the kids in Austin when it’s just too hot to handle. –> Head to the water! In Austin, you can choose from several municipal pools that charge an affordable entrance fee. You can also check out one of the area splash pads. Don’t assume that these are just for itty bitty kiddos because even the big kids can have a blast splashing. 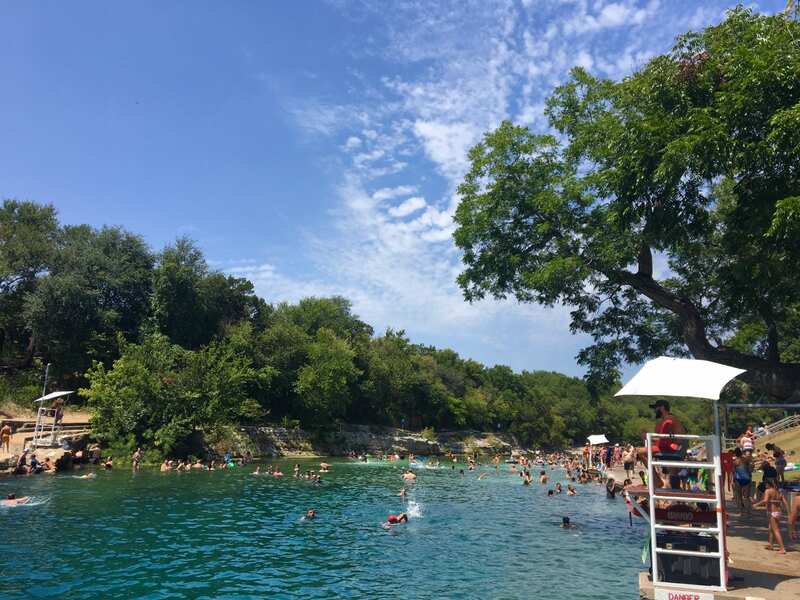 And of course there are some gorgeous swimming holes in the area, as well as water parks near to Austin. Pack up your gear and take a little day trip to the water. Nothing beats the cool waters of Barton Springs Pool. You can’t beat the beauty of downtown Austin from the views of Lady Bird Lake. Get out there in a canoe, paddle boat or kayak, or opt for a leisurely cruise. Seeing the bats is an Austin summer tradition. Sometimes you just need to let the kids GO WILD and get their energy out where you can keep your cool inside an icy air-conditioned play space. Bounce, climb, jump! Or even go bananas playing arcade games! Happy kids, happy parents. No over-heating. 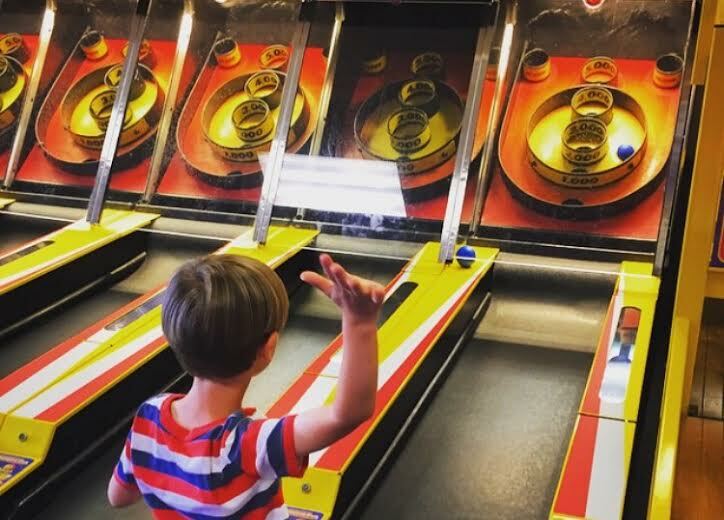 Score big & keep cool indoors at an arcade! 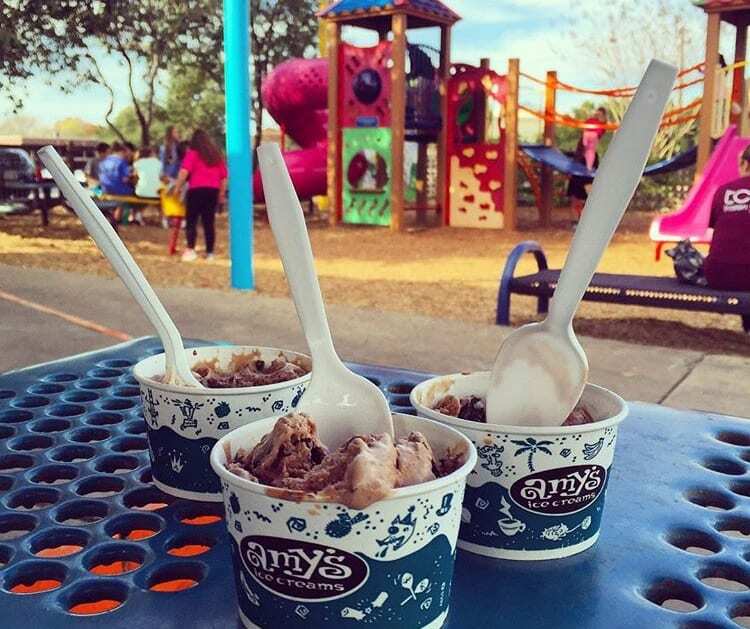 Chill out on a little family field trip. Appreciate art, study artifacts, learn about Texas history, or engage in fun educational activities. 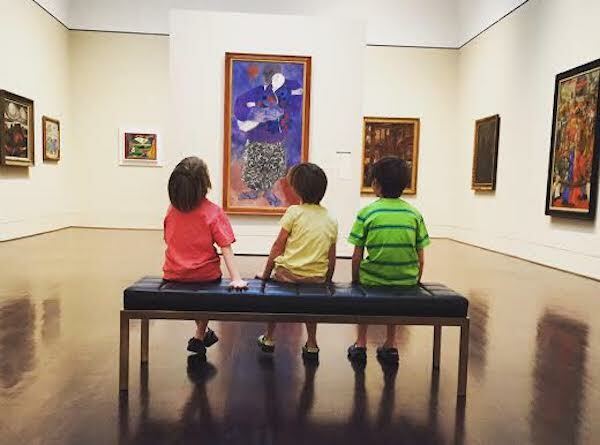 Enjoy art and a/c at our area museums. Library Summer Reading Programs are jam-packed full of puppet shows, music, and beyond-the-basics story time events. We’re thrilled to support Austin Public Library’s summer program. Get reading to win free prize books! 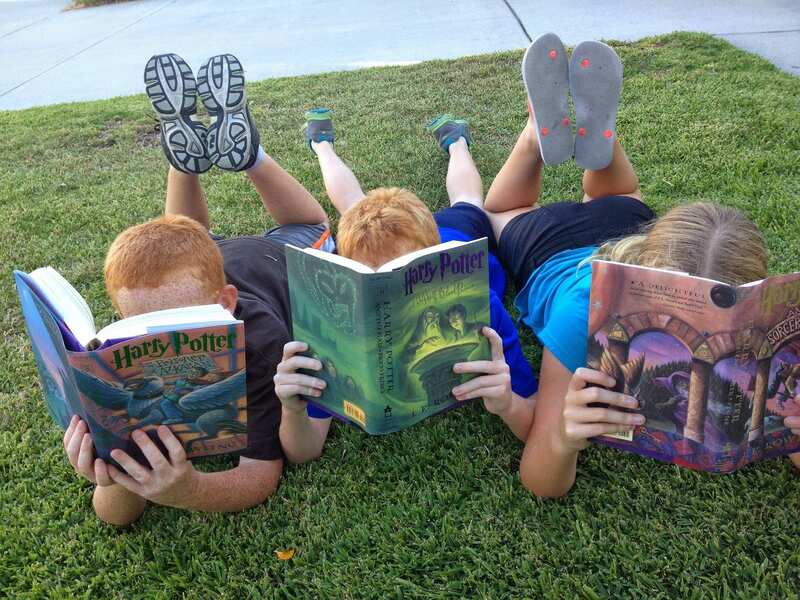 Reading is a favorite summer pastime! Go ahead and indulge in some delicious cold treats to help you cool off on these hot days. You gotta love settling into a nice cold movie theatre for a few hours of entertainment with the family. 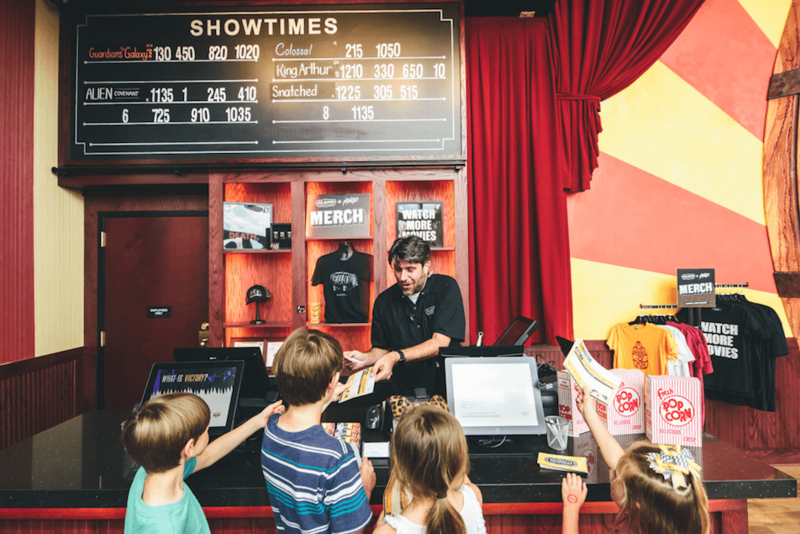 Don’t forget your Fun Cards when you head into an Alamo Drafthouse this summer! Stay cool out there, friends! Yes, Sweet Ritual is great. Thanks for the reminder!